The Sidekick 7B is the test set used in every major telephone company in the United States to troubleshoot twisted pair applications. 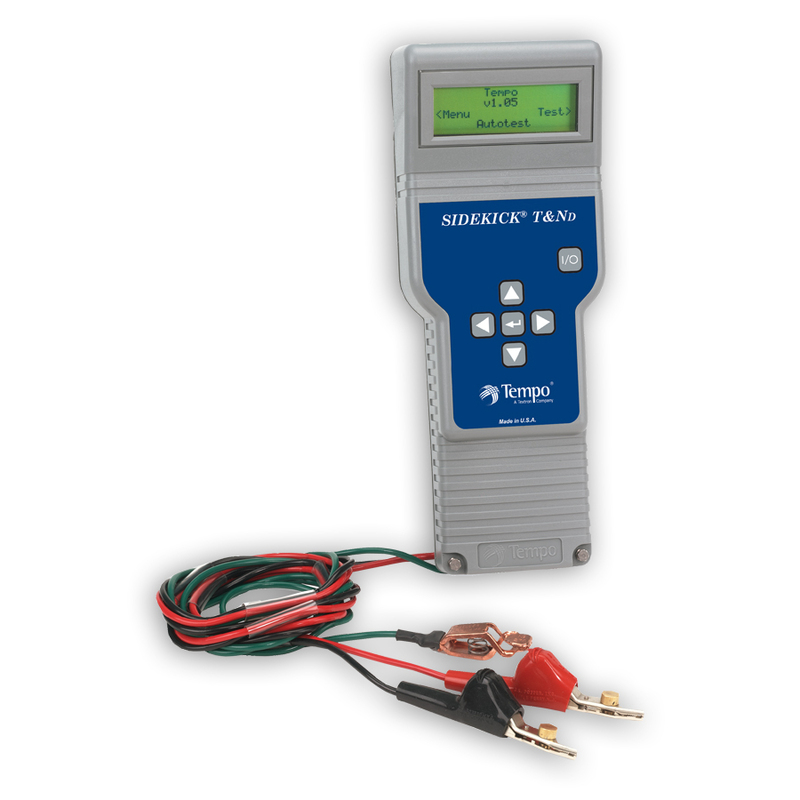 This light-weight, hand-held meter quickly and accurately uncovers intermittent troubles that other test sets can't detect. Since the introduction of the patented Stress Test and Leakage Test in 1991, the Sidekick has become a benchmark in communications technology. Technicians now have the versatility to identify faults in locations ranging from outside plant cable to inside wiring, and from closures to connecting blocks, without sacrificing standard features,e.g., AC/DC, VOM, Kick Meter, they have come to rely on. The versatile Sidekick 7B is used throughout the telephony industry, including LAN/WAN, Private Networks, and BICSI applications. The Stress Test reads the audible noise produced on a faulted pair that is stressed by a 90 dBrn longitudinal excitation. The Stress Test determines the capacitive and series resistance balance characteristics of twisted pair at any point along the pair. It is capable of identifying DC resistive or capacitive imbalances undetected by other subscriber loop tests. The Stress Test is also highly effective in identifying imbalances produced by series resistance opens (high joints). 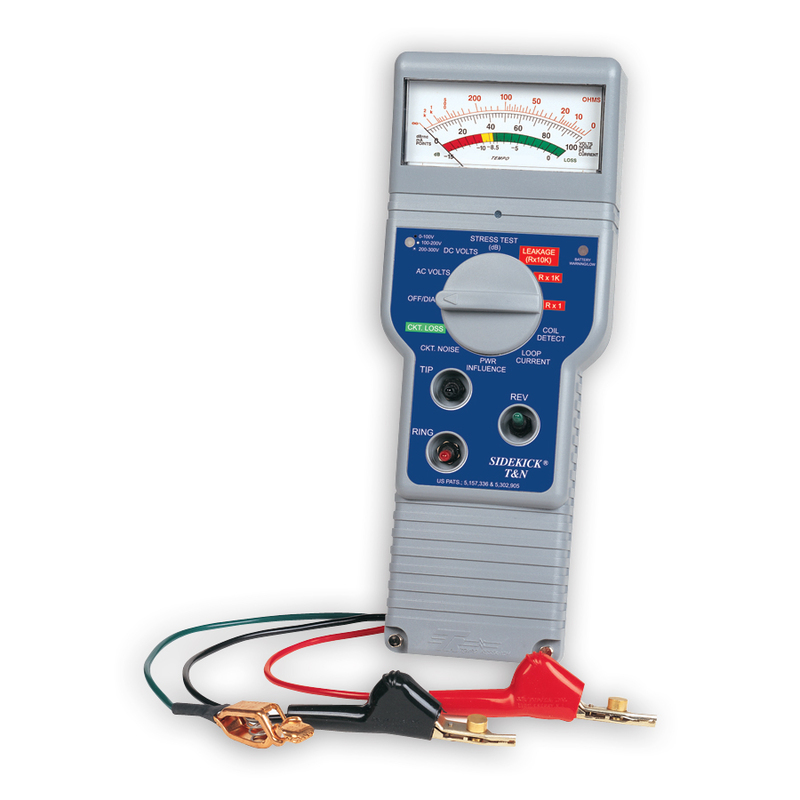 The Sidekick T&Nd is a multifunction test set that will improve any technician’s testing and trouble shooting capabilities on twisted pair. 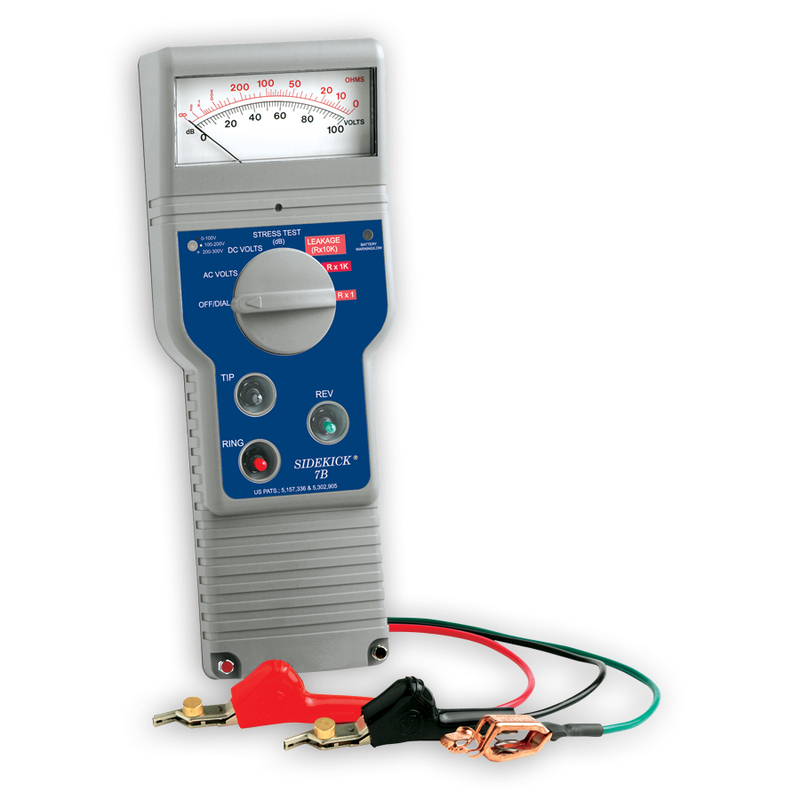 It uses digital technology to combine VOM and loop current tests, longitudinal balance (Stress Test), transmission and noise, open locator, and load coil detection into one easy-to-use test set. The test functions can be selected and used individually, or run automatically by using the innovative Autotest. Autotest can perform 22 consecutive individual diagnostic tests and displays a test summary when completed. Test results are displayed on a 4 line, 20 character, digital LCD display. This eliminates meter interpretation errors and provides the user with a clear numerical readout. - On-Screen Display of “LOW BAT"
- Reduces Repeat Trouble Calls.